Through the dim grayness, she glimpsed the horse’s straps snapping free. The gelding broke away and bolted, clamoring down the road and disappearing from view. The cart careened toward a ditch, plunged into it, and tipped over. “Help!” Maddy’s cries sounded above the rumble of the storm. When the pang subsided, Rachel pushed to her hands and knees, the cold mud oozing between her fingers. Her body protested every move she made, the dull ache in her back intensifying. She had no choice. Peering around, she saw no one else to help. No sign of civilization. Her head pounded like the rain hammering down on her. Her world spun a wave of dizziness making her stomach reel. “Help. I’m trapped,” Maddy shouted. Rachel forced herself back on her heels, dragging in the cool, damp air. Another deep, fortifying breath and she struggled to her feet, her wet clothing siphoning her energy. She swayed. The trees swirled and danced before her eyes. She closed them and willed the dizziness away. No time for it. She took a step toward the overturned cart, twenty or so feet away. Then another. The trees stopped spinning. She would make it. She could help Maddy. Almost to her destination, she stumbled over a broken piece of a crate and staggered forward. Another stab of pain knifed through her stomach, its power taking her to her knees into the mud. Agony, like white-hot lightning, cut through her lower back and shoved her over the edge into a black void. Nathan Stuart yanked the collar of his great coat up around his neck and pulled his beaver felt hat lower on his brow. But still the rain drove into him, drenching him as he rode toward his cabin. Thoughts of a warm fire kept the chill at bay. He concentrated on controlling his horse while thunder sounded around him and lightning lit the road, the only illumination in the darkening surroundings. Nathan squinted, trying to see better in the gloom of the late spring afternoon. Another flash of lightning smote the sky, and he thought he saw a cart turned over up ahead. He spurred his mare faster, hoping that he only imagined it. Again a bolt of brightness zipped through the grayness and cast an eerie glow over the landscape. Yes, it was a cart in the ditch at the side of the road. No horse. Nathan reached the spot and leaped to the ground. He raced toward the wreck. 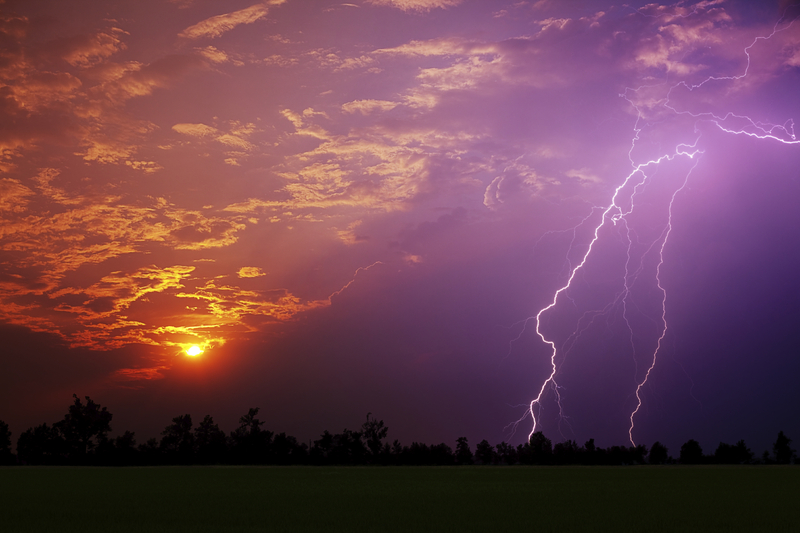 Another lightning streak illumined his way, or he might have stumbled over the woman. She lay a few feet from the cart among some broken crates. The first thing he noticed, she was large with child. Then he saw she was unconscious—or dead. He gently turned her onto her back. The rain washed some of the mud from her face, revealing a pallor beneath her skin. A calmness descended as he knelt next to her and checked to see if she was still alive. A pulse beat below his fingertips. “Help,” a faint voice behind him called. Divided over whom to help first, he ran his gaze down the length of the lady on the ground in front of him. Cuts, but no deep bleeding wounds that he could see. Her chest rose and fell. He jumped to his feet and hurried to the wagon, examining the debris to find the woman with the faint, high-pitched squeak. He gripped the edge of the wagon and heaved it up until a petite woman scrambled from under it. On all fours, wet and covered in mud, she glanced up. The woman on the ground stirred, moaning. Gone? Dead? Taken? Nathan peered toward the forest near the overturned cart. He started to question the young woman when a frown lashed across Mrs. Gordon’s ashen features, riveting his full attention. Her eyes—their color like a brown bear in the woods around his cabin—opened, and for a moment as the rain fell, she stared into his gaze, blinking the water away. Suddenly she clasped her stomach and moaned again. The plea in her look tore at him. The expectant mother collapsed back on the muddy road, shivering. Her teeth chattered. She nodded, her lips compressed into a thin line. Rain splattered her face, which was as white as his lawn shirt. He strove to remain calm. 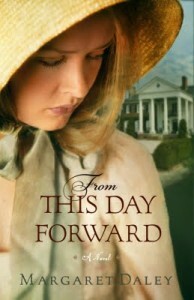 Mrs. Gordon glanced toward the young woman. “Are you all right, Maddy?” Her voice matched the quivering in her body. Nathan tucked his arms under Mrs. Gordon and lifted her. Her wet clothes weighed her down, but he managed to nestle her against his chest as she locked her hands behind his neck. While he trudged toward his cabin, up an incline and through a grove of pine trees, his mare followed behind him, along with Maddy. As he neared his home, the rain subsided to a gentle shower, a rumble of thunder sounding in the distance. A hundred feet from his cabin, the woman relaxed in his arms and laid her head on his shoulder. A mental picture of him carrying a wounded soldier back behind the lines nudged him. He tried to shake it away, but it invaded his mind, as did so many remembrances of the war. When he had reached safety and put the man on the ground, the soldier had been dead. His frustrated outcry still rang in his memories. That was when he knew the Lord didn’t care about the men on the battlefield. God had turned away from him, and he was turning away from God. I have already lost too many people. Not this lady or her baby. Through the dismal gray, he spotted his home, and his pace quickened. She tightened in his arms, and a look of pain streaked across her face. A contraction. They were coming close together. He shouldered his door open and let Maddy close it when they were all inside. In the dim light of the interior he made his way into his bedchamber, where he placed her on his bed then lit a candle. The young woman trailed behind him into the room. “I don’t know anything about babies.” Hysteria edged her voice. “I do,” he said, hovering over the woman in the bed, her face contorted in pain. Her need underscored everything he wanted to forget—the reason he lived outside of town, secluded. Another shaft of pain drilled into Rachel, sending her straight up in bed. Her hands gripped the blanket. Her teeth dug into her lower lip, drawing blood, its metallic taste coating her tongue. Sweat mingled with the raindrops on her face and ran down her cheeks. The large man started to turn away. Remembering he had said he was a physician, Rachel clasped his hand to still his action. Fear seized her as tight as the constriction had a moment ago. “Please stay,” she whispered, fighting the last pangs as they faded in intensity. His smile reassured her that she would not be left alone to have this baby. Her mother, Lady Ashton, would never speak of such delicate things to Rachel. She had no idea what to do, and from the panic on Maddy’s face, her maid did not know either. As another contraction clinched her abdomen, she clamped her teeth together, trying not to scream. She rode the wave of pain, twisting the blanket beneath her hands. She felt like the blanket, contorted, her stomach coiled into a huge, tight knot that was fighting to push its way out of her. When the pain lessened to an ache, she relaxed back on the bed, closing her eyes and dragging in deep breaths, hoping that would fortify her for the next round. A cool, wet cloth touched her perspiration-covered face. She looked up into the kind eyes of the stranger. Their deep blue color mesmerized her. She wanted to lose herself in them and forget she was alone in this world, about to give birth, with only a frightened eighteen-year-old girl as a companion. “I was not gone long.” He continued to wipe her brow, a gentle smile touching his lips and touching her damaged heart. The refreshing feel of the cloth moving over her skin made her forget for a moment where she was and why. She responded to his smile with a quickening in her pulse. A sense of security and peace enveloped her until another contraction sliced through her middle. She stiffened. The kind physician clasped her hand. “Focus on me. Think of a meadow full of flowers in the springtime. The breeze is soft, cooling. Tightening her hold, she concentrated on the cobalt blue of his eyes, the soft gruffness of his voice. She squeezed his fingers harder as the pain crested. Then ebbed. She sagged against the feather-stuffed mattress, her breath shallow, her throat dry. “What’s your name?” she whispered through parched lips. “Do you know what you are doing?” Because I don’t. I’m scared. “Oh no. Not me. I told you I know nothing about babies.” Shaking her head, Maddy backed away from the bed, saying, “I shall get more water.” Then she whirled around and hurried out of the room. Leaving her alone with a stranger. Leaving her to have her baby. A knifing pain cleaved Rachel, bringing her up off the bed. A scream ripped from her throat. “Stay,” she managed to say between lulls in the wave of contractions. She clung to those words as she became racked with agony as though a hot poker stabbed her stomach. Over and over. When her body demanded she push her child out, one overriding thought clamped down in her mind, heightening her fear. She was the only person her child had to depend on. She was alone completely, no husband, no family. No family now except her child. The woman’s groans permeated every corner of his mind as she tried to push and nothing happened. He had to do something. He did not bring her here to die. His gut knotted into a lump of regrets. “I cannot do this…anymore.” Mrs. Gordon sagged back against the young woman, her hair damp from perspiration, her face pasty white. For a moment he recalled that same expression and demand from the wounded soldiers he tried to save. Nathan surged to his feet and hurried from the room. He grabbed the bag with his medical instruments. His hand shook as he removed the forceps. He had never wanted to use them again. As he reentered the bedchamber, he stared at the woman whose life was in his hands. Her arms hung limp at her sides until another contraction descended. Pain contorted her face, her hands digging into the bedding. The look she gave him, full of need and hope, as he returned to her side, reminded him of Eliza’s—only minutes before she slipped away. Words failed Rachel. With her throat clogged, she nodded. He wrapped her baby in a blanket and laid her in the crook of Rachel’s arm. Her child quieted and peered at her. Tears slipped from Rachel’s eyes as she stared at her daughter. Tiny. Rosy cheeks. Delicate features. And a black head of hair. Like her deceased husband—a constant reminder. “Does she have any children?” Her gaze transfixed on the tiny bundle in her arms, Rachel smoothed the fine dark hair away from her daughter’s face. When he didn’t answer her, she glanced up. His eyebrows slashed downward. His lips pressed together. He turned away. “I’m sorry. I should not have asked.” Exhaustion weaved its way through Rachel, weighing down her limbs. “Yes. I was a physician with our troops.” The rigid set to his shoulders and the nerve that twitched in his cheek attested to suppressed anger. Against the English. Rachel bit into her bottom lip. At the Charleston harbor she had heard others who spoke with her accent but had been in this country at least long enough to set up shop at the wharf and surrounding area. How do I tell him I am English, newly arrived? Does he already know? He hasn’t said anything. The war had ended a year ago. Her husband had proclaimed that this young country was the place for them to go, that opportunities abounded for him to make enough money to give her the lifestyle she was accustomed to. Tom had not cared that she was happy in England and feared traveling so far from all she had known. Rachel pressed her lips together to keep from blurting that she had recently arrived from England. The sound of the thunder in the distance reminded her of her predicament—several miles from Charleston, in the woods, with a storm raging. While her daughter nursed, Rachel fought the exhaustion that claimed her. She had to stay alert. What if he discovered she was newly arrived from England, the country he had recently fought against, and threw her and her baby out? Rachel hugged her daughter even closer, peering out the window. Pitch black greeted her. In the rain at night? Hi Margaret! Is this your first historical? Your first single title? Congratulations on your latest release.